This is not a commercial website. All rights are reserved by Disney, Nickelodeon, Cartoon Inc. 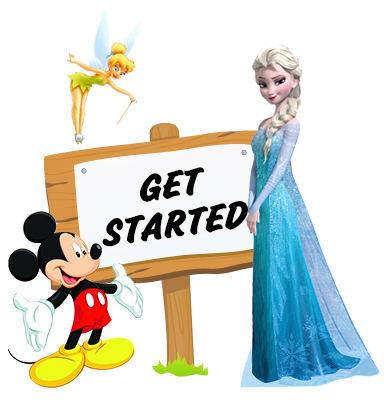 Receive free online photo with Disney, Nickelodeon, Cartoon characters when you order personalized Santa letters. Only here can you let the characters OUT of their cages! 123 Photo Studio creates wild and wacky photos by letting you insert one of our fierce and furry character friends into your favorite family memories. Make an ordinary picture at the park look like a trip to the wild jungles of the Amazon rainforest or the hot savanna during an African safari. 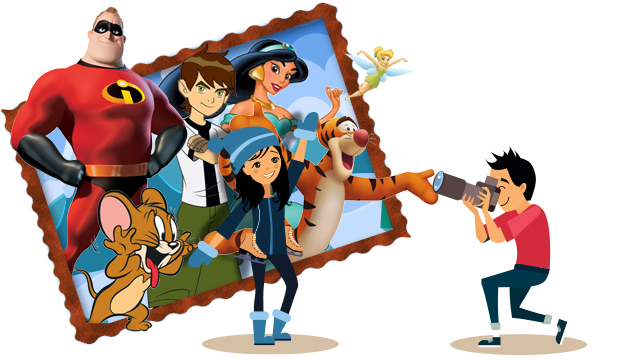 Envision the excitement in your child’s eyes when they see a photograph with their favorite characters lying right next to them! Show off your new pet lion in your family portraits or put a penguin on the beach next to your kids while they build sand castles. The possibilities are endless! Our digital photo maker lets you explore different characters and different poses, including monkeys, owls, bears, pandas, leopards and more. We guarantee to bring the wild side into your photos.